Autumnal makeup doesn’t have to be all berries and pumpkin, it’s quite nice to buck the trend and splash a bright lip on to lift the spirits. 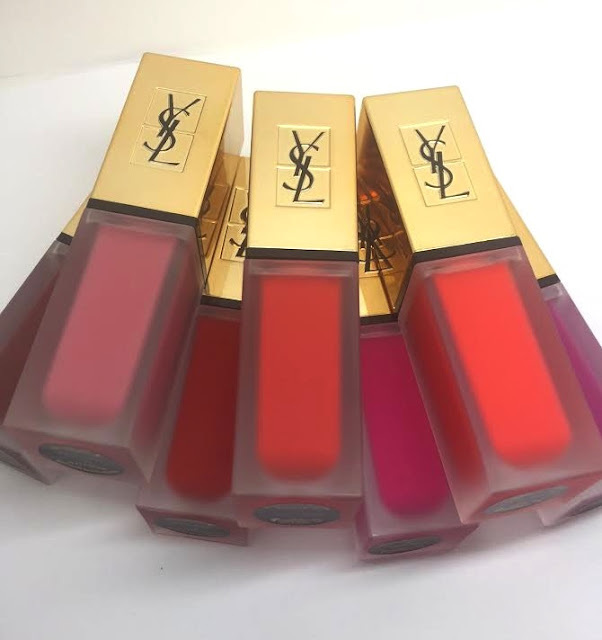 The new YSL Tatouage Couture is a lightweight liquid lipstick, which packs a punch in the colour department but also layers on with an undetectable water-like application. Dries off relatively fast and stains in a thin veil rather than a chalky coating.The finish is comletely matte and the longevity is good. I love the application wand. 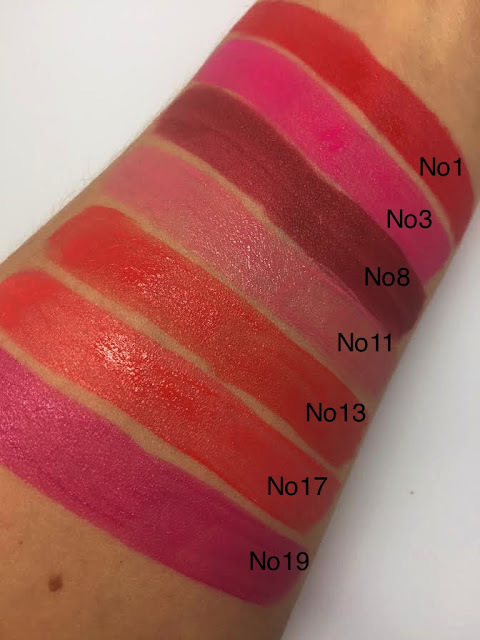 It’s a thin, angled, flexible palette wand, which coats in just the right amount of product. It enables you to apply precisely and lay down product in all the right corners. There are 18 shades available and we have seven of those to share with you. These are available now and are £29.00 each here. The wand on these looks so perfect, I imagine that it contours to the lips amazingly! Just bought no 11 last night at the airport. Loving it! 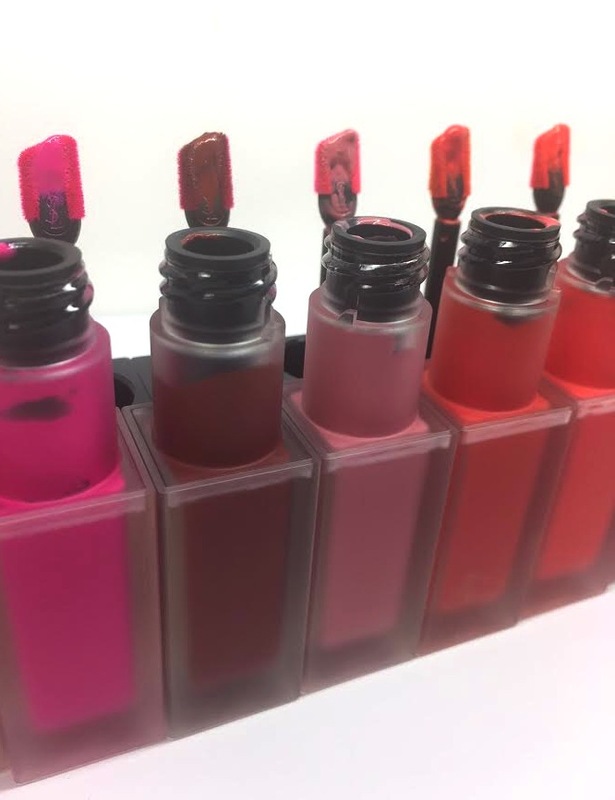 Not as caked and drying as other matte lipsticks or liquids.